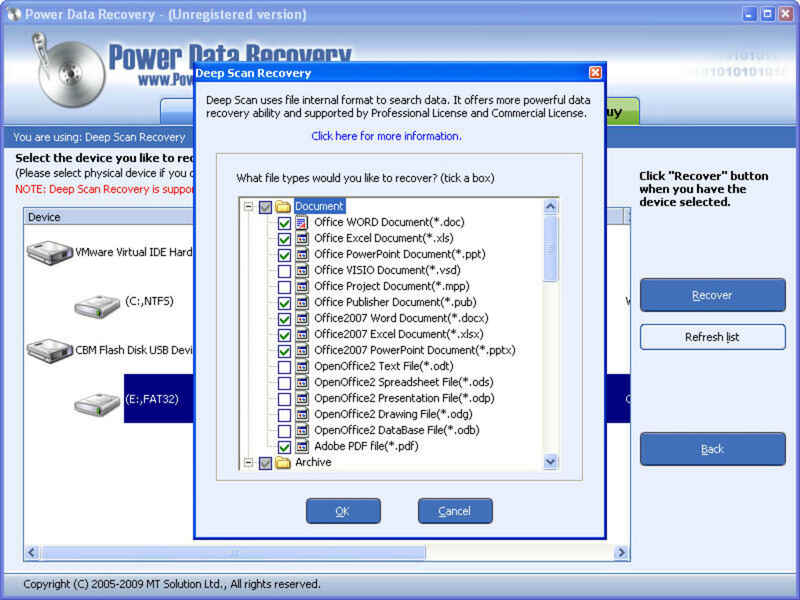 We've all deleted files by accident at some point in our lives, so it's only natural that there are specific tools to recover them like Power Data Recovery. 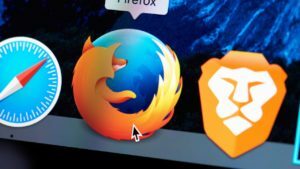 This simple tool scans your hard drive and any other device connected to your computer in search for files that were lost due to virus attack, system crash, formatting or simple accidental deletion. 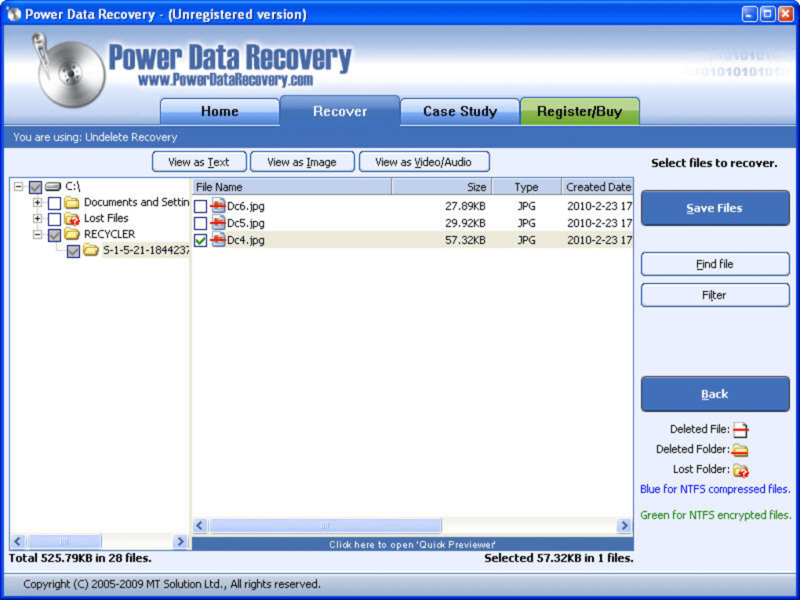 Power Data Recovery includes three modules: Undelete Recovery, which recovers files deleted by mistake; Advanced Recovery, which is able to recover data from lost partitions or damaged volumes; and finally Deep Scan Recovery, which is the most thorough scan of all three and gives you the highest chances of recovering lost files. Whichever module you choose, you'll find it quite easy to use. 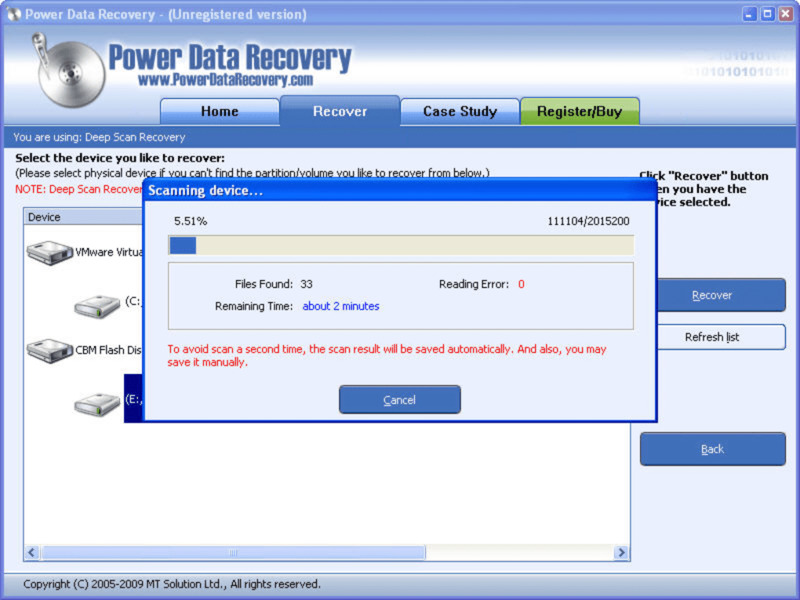 All you need to do is start the scan, wait for results and then select the files you want to recover. 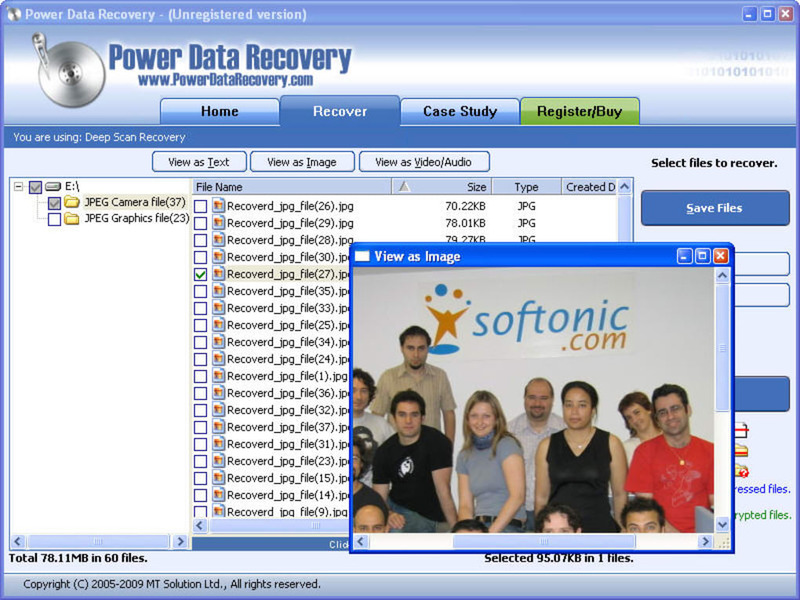 Power Data Recovery lets you preview files (images, video, audio and plain text) to make sure you know which files you're recovering. 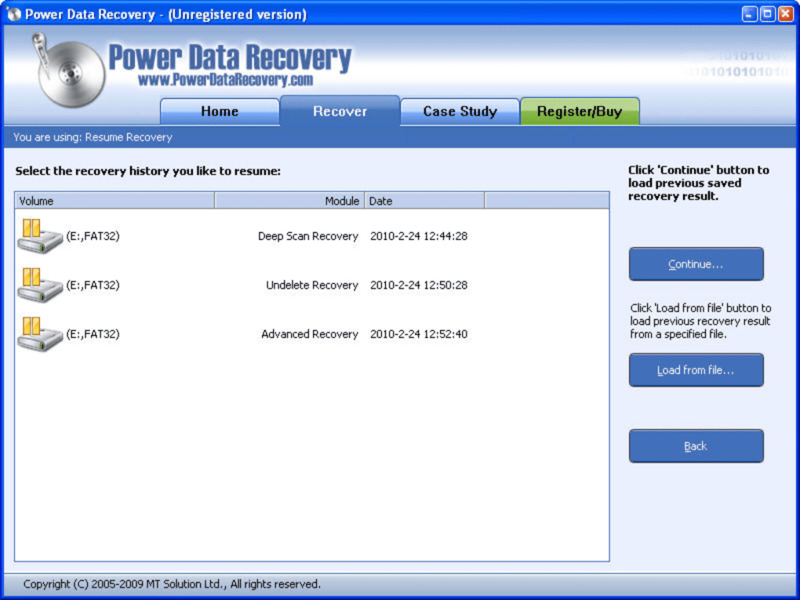 And if for any reason you need to interrupt the recovery process, don't worry: Power Data Recovery saves it as is and lets you resume later on. Power Data Recovery is a risk-free and read only data recovery utility that helps you recover your data after accidental deletion, accidental format, repartition, virus attack, software malfunction, system crash. 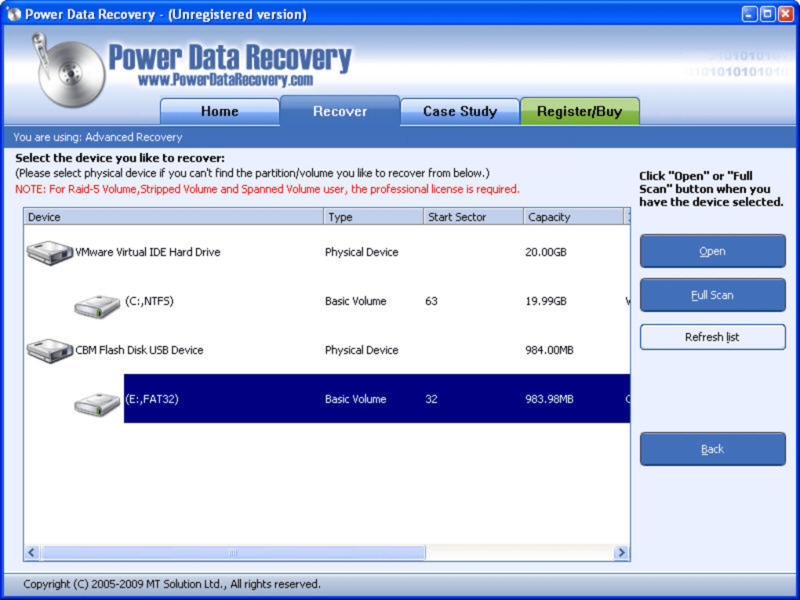 It is an easy to use data recovery utility that examines your inaccessible hard drives for damages and corruptions and recovers the data back. The supported file systems: FAT 12/16/32 and NTFS. 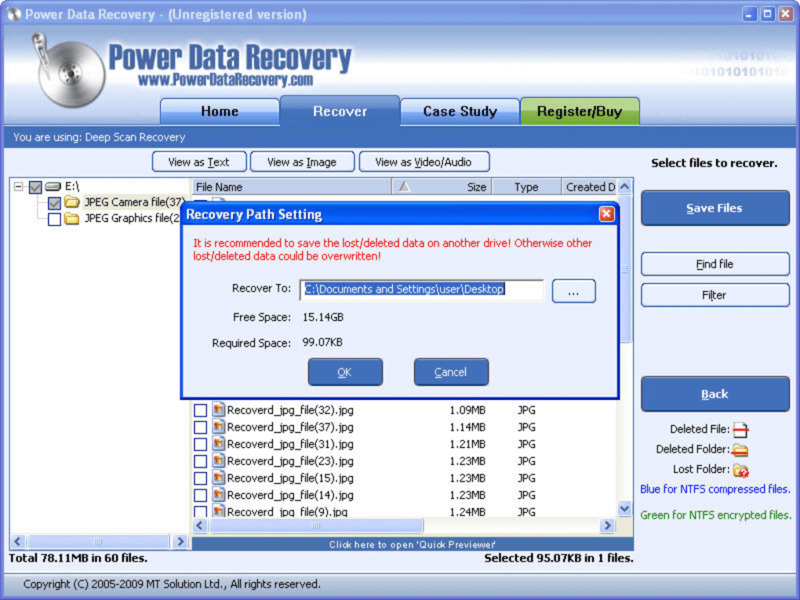 It is easy to use and 4 steps to recover your lost data, no technical knowledge needed. 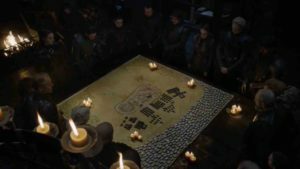 It supports NTFS compressed and encrypted files. Not user friendly.. This tool is hard to navigate. 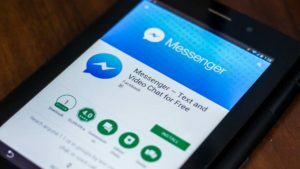 Its free trial is only 1 GB. 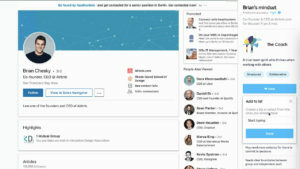 A bad company. Buyer beware.. Just junk. Horrible results, bad service. Avoid it. There are better alternatives out there. 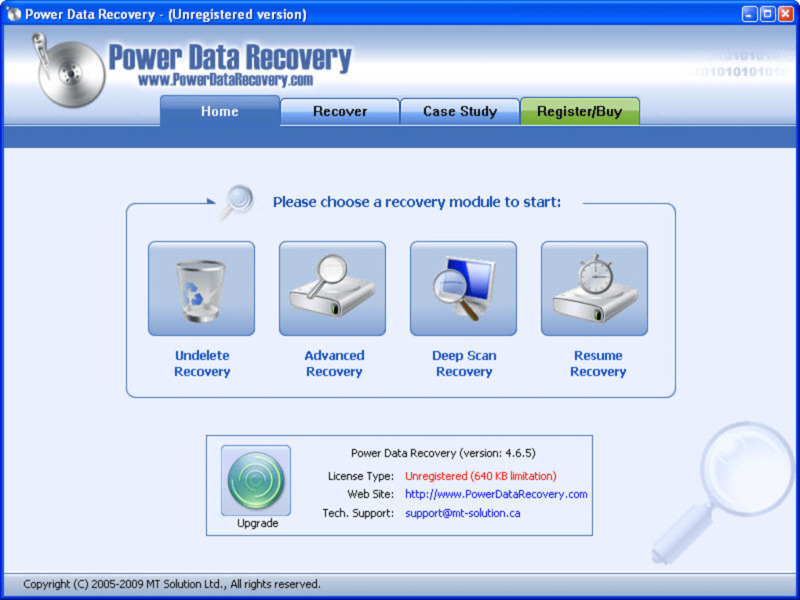 What do you think about Power Data Recovery? Do you recommend it? Why?